If you’re at a loose end tonight and looking for some pre-Halloween spooky shenanigans, get yourself down to the Scottish Storytelling Centre on the Royal Mile (just behind John Knox House) for 19.30. Writers’ Bloc will be performing their traditional Halloween show. I’ve got a beastly story to read so I do hope you’ll come along and join the macabre fun. It’s that time of year again, when Writers’ Bloc presents its traditional Halloween show. This time it’s going to be in the Scottish Storytelling Centre on the Royal Mile. The programme is looking pretty good too. More to follow once it’s firmed up. Writers’ meeting tonight as well where lots of important decisions will be made – like who’s round is it? There’s an exciting new Writers’ Bloc show tonight at 21:00 at the book festival on Charlotte square. It’s free too, so you’ve no excuse. Expect an exciting and innovative musical collaboration between Bloc and musicians John Lemke and Poppy Ackroyd. This one’s not to be missed. You can read more about it here. So that’s my French Odyssey at an end. I’m back in Edinburgh and in my old flat. I have a new job. So all good. I’m writing again too. I’m on the last three chapters of my French opus, A Beer in Provence. I’ll post occasional snippets here as I go along. I attended my fist crit group the other week too and met some of our newer members, which was great. Very excited about having some new blood and new perspectives. I’ll no doubt be reading at some point soon as well – at the next Bloc show most likely. I’ll keep you posted. When I first realised I’d got the job at Travel Horizon back in the May 2010, little did I know the months of teeth-gnashing, frustration, head-banging, pidgin French and general craziness that would ensue. Of course I was über excited about the prospect of living in Aix en Provence. Who wouldn’t be? Sunshine, fine wine, great food, real coffee. What’s not to like? If you’ve never moved country before, though, be warned. It’s an interesting experience. I think I rather naively believed moving to France would be un morceau de gâteau. It’s in the EU right? It must work pretty much the same way as the UK. Yes …. Anyway, first things first – before the off. I left work a month earlier than I needed to so I could completely redecorate my flat and get it into a fit state for renting. That was a knackering month – not the least because I was working 15 hours a day on my place whilst blundering back and forth to and from IKEA, Homebase, and various hardware shops and suppliers like a total muppet. No fun. On top of that I was taking some French classes in a feeble and half-assed attempt to memorize some key phrases before I left – I should have just learned to shrug and blow raspberries, far more useful as it turns out. Added to that Writers’ Bloc were very busy – it being Festival month – and I was trying to cram in as much festival stuff and performances as I could. So by the time came for the off it was actually blessed relief. I had a fish. A goldfish. This thing just kept on living. I had the same fish in the same tank when I moved into my flat in 2000. He looked like a piscean Elvis or Sly Stallone. His mouth was all squint – it’d been broken years ago. A Scottish goldfish. The dumbass critter had a habit of ramming its face into its stones on the bottom of the tank to sook food and algae off them. They sometimes got stuck. Usually he’d manage to spit the wedged pebble out after a while, but sometimes not. Then I had to delicately tease the thing out with a bent paper clip whilst holding the fish in a wee wet hand towel. Ridiculous, but it seemed to work. 10 years later the little fella was still going strong but I didn’t fancy his chances surviving a journey to Aix in a f*ck-off big van. Hell, I’m not even sure I fancied our chances. So one night in August in the wee small hours I clambered over the fence of a certain well-know financial services company that happened to have a big pond outside full of goldfish, and gave him his freedom. I really hope he’s still alive and doing well. I’m sure there’s a metaphor here. 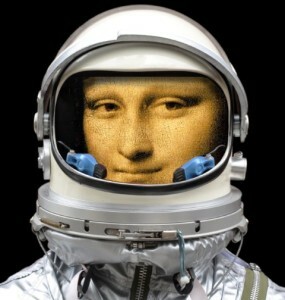 OK folks, first of all my sincere apologies for the almost 2 year hiatus. Shocking. But in fairness I did move to the South of France. Which was kinda complicated and took a lot of time and effort. And money. But hey, we’ve been here a year and half now and it’s fair to say we’re pretty settled. And a lot’s happened in the meantime. The highlight of course being my engagement to my delightful, talented and beautiful fiance, Lynsey. But what definitely has not been happening is much writing. Dreadful I know. But, things are afoot. I have set my self two months to do a complete revision of Worse Things and I’m brimming with new ideas and things I want the novel to say. I’ll also be submitting a lot more material over the coming months and getting back in to Writers’ Bloc affairs (albeit remotely). So, proverbial finger out of arse and stay tuned! Also, over the coming weeks I’ll add some observations and anecdotes about la vie en France. Cos frankly it’s about time. Some of you may not know, but I’ve upped ship and I now live in Provence. Aix-en-Provence to be precise. Of course this means I won’t be attending many bloc shows in the near future, but I do plan to get back over for guest slots every now and then. And of course, once I’m properly settled, I’ll get back to the writing, promise. I’m going to be reading again at the wonderful Taste of the Fringe free night of stellar entertainment at The Banshee Labyrinth. The ever-dapper Gavin Inglis will also be reading. We are on from around 9. New Bloc show coming soon! We’re pure-mad excited over here at the Bloc Command Bunker. The next show is in the offing and it’s set to be the mutt’s proverbials. 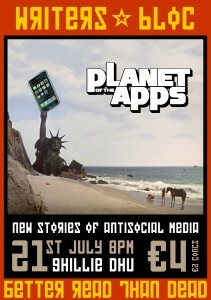 Planet of the Apps will be about all things techy, social media, webby, and with buttons that are just too small. Expect new stories about: next-generation Nigerian 409 scams; burlesque-themed alien abductions; stalkings via social media; park keepers dealing with digital debris; and a steamy extension to the Dewey Decimal System, all performed with our trademark energy and verve. 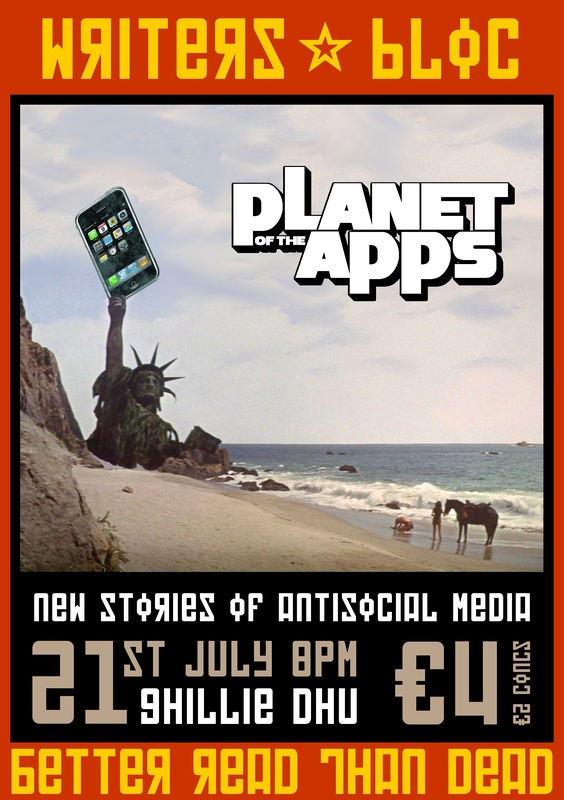 Planet of the Apps takes place at the Ghillie Dhu, 2-6 Rutland Place, Edinburgh EH1 2AD, on Wednesday 21st July from 8pm. Admission is an affordable £4 (£2 concessions). We’re trying something new too! We plan to have a live twitter feed during the show and we want you to get involved. As well as your general Bloc chat, we want you to submit twitter short stories leading up to and even during the show. The best story will receive a prize (more about that soon) and we’ll publish our favourites on the Bloc site. Even more fun than that, we’re handing creative control to you, our beloved audience. As you may know, the titles for Bloc shows are rigorously researched months in advance, and much care and deliberation goes into the choice of theme and title…… honest. Anyway, we want you guys to submit your ideas for themes and or titles for the show following our signature Halloween show. We’ll let you vote on the night for the best title/theme and we’ll make that the focus of our post-Halloween show. You have been warned. You can follow us on twitter as Writers_Bloc_UK and use the hashtag #blocshow for all your tweets.